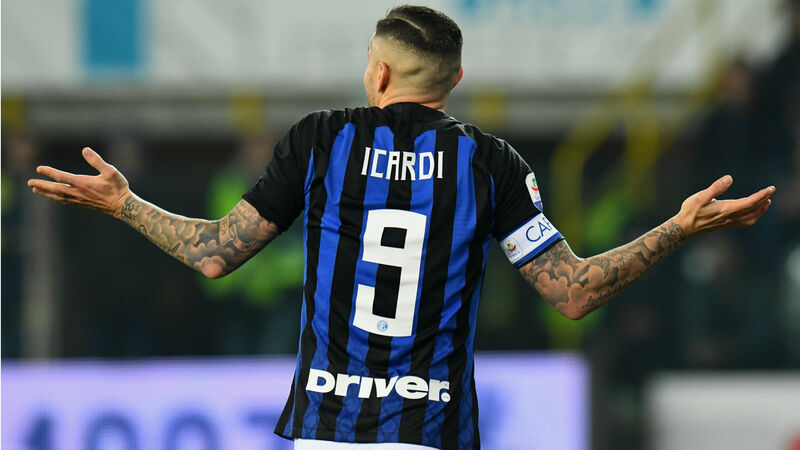 The Serie A club named goalkeeper Samir Handanovic as their new captain on Wednesday but did not give any reasons for Icardi's removal from the role. But Spalletti said Icardi has not been dropped and that his absence from the squad was the player's decision alone. "Tomorrow will be a very important game. We'll have time after that to clarify Icardi's position," he told Sky Sport Italia. "It was a difficult and painful decision but one supported by everyone and made for the good of Inter and the team. "His no-show? It was him who didn't want to join up with the team. He was called up. He was disappointed, but it was also difficult for us to make this decision and announce it to him. "There's a situation that needs addressing and I said it after [the] Parma [game]. What's happened confirms that. "If there is anyone who thinks of anything other than the result tomorrow night, they're wrong to do that. "We've made a decision at an appropriate time and one that was well thought out, albeit one that was very painful. "Things around him have disturbed him and the team he captained. Now we have to focus all our attention on tomorrow’s game." However, that has done little to assuage doubts over his future, and the situation became more unclear when Nara, speaking on the Tiki Taka show, said: "I would like Mauro to be more protected by the club because sometimes some bad things come from inside."